When you are looking for a professional Rhode Island roof cleaning company, you want to be sure that you have the name of the best in the business, and there is no one better suited to taking care of this task than the team of professionals at our Cape Cod roof cleaning company. 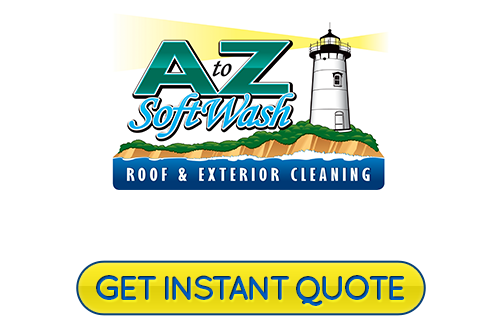 Here at A to Z Softwash, we are the local Tiverton roof cleaning and pressure washing specialists to turn to when you are looking for the highest quality cleaning service possible for the exterior of your home. The roof of your home provides you with a major part of the overall look of your home's exterior as well as a great part of its overall function, so doesn't it make sense to give it the care it needs to keep it looking and performing its best? When you call in the professionals at A to Z Softwash, you can always feel confident knowing that we take a massive amount of pride in the quality work we are able to deliver to each and every one of our valued customers. We feel like you should never have to settle for less when it comes to the cleaning of your home's roof and other exterior surfaces, which is why we make it a point of pride to offer you only the best when it comes to caring for appearance of your home. No task is too severe or too trivial for us to take on, and we guarantee the same quality results no matter how simple or complex the job might be. The roof is one of the most important aspects of your home, so don't entrust its cleaning care to just anyone. Make sure you always have the best. Give us a call today if you have any questions about our full line of professional roof cleaning and exterior pressure washing services, or if you would just like to schedule your cleaning service with one of our specialists. Our team of experts are always standing by and would be more than happy to answer your calls. We look forward to working with you. One of the most common issues we run into with the roofs here on Tiverton homes are those black streaks that tend to form over time. These streaks are, in actuality, a type of algae that appears over time, and the streaks result from rain causing this algae to slide down from your rooftop. Not only does this look bad on your roof, but it can also be damaging as well, as this particular pollutant can eat away at your roof's shingles and structure over time. Another thing many homeowners don't ever consider is the fact that there are many insurance companies out there that can actually cancel your homeowner's policy if you leave your roof dirty for too long. This is usually due to the fact that many insurance companies don't want to be financially responsible for roofing damage that could have been easily prevented with a little bit of regular professional care. There are a number of surfaces around the exterior of your home that require an expert softwashing professional to get them clean all while helping to prevent any damage from occurring. 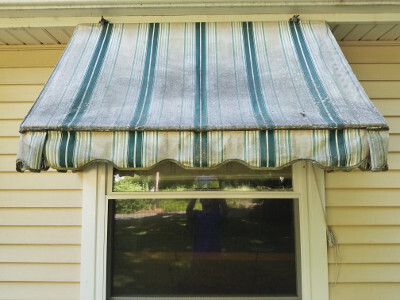 There are too many companies whose solution to cleaning the outside of your home ends at blasting it with a high powered pressure washer, no matter what the task might be. However, many of the surfaces of your home can actually sustain fairly serious damage from these kinds of methods. This makes it extremely important to ensure that the company you trust for your cleaning knows when a soft pressure washing method is going to work better for the task at hand. If you are looking for a professional Tiverton roof cleaning or pressure washing specialists, give us a call today at 508-209-7795 or fill out our online request form.